Good day, St. Leonard Parishioner! 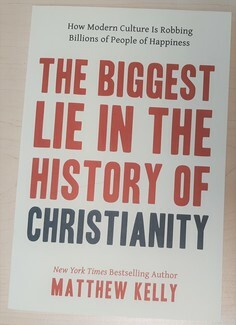 Thanks so much for your interest in warmly offering "The Biggest Lie in the History of Christianity" books and a Happy Easter to parishioners and guests attending our Easter Vigil and Easter Day Masses. You are invited to sign up yourself and other family members - kids, too! - to help out! Please note number of people who will help you, if any, in the Notes field. Thank you very much for encouraging discipleship on this greatest day of the year!